T-fal mission to offer ingenious products to make cooking simpler and more rewarding is the main reason behind their incredible products. They are dedicated to understanding what the consumer needs and strive to bring an innovative solution to the cooking scenery to ensure they always meet consumer demands. They have done this through their specialized cooker designs.For years they have been on the scene for quite some time and provide innovative cookery solutions without compromising quality and efficiency. 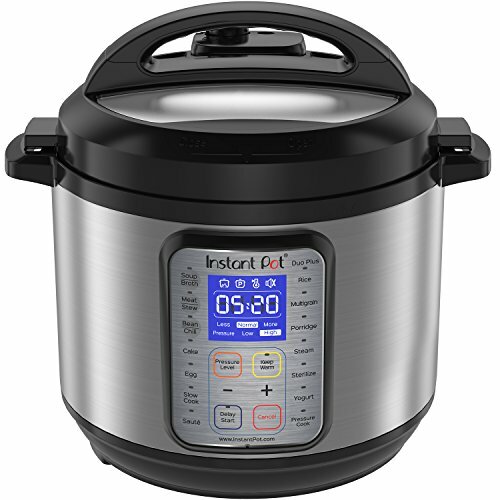 Their pressure cookers, just as their other main products, are crafted and built to ensure they are durable, comfortable to use and safe. T-fal uses only the very best material to construct the handles, safety features, and mechanisms. That way, their products work as expected and produce fantastic results. All this makes T-fal pressure cookers one of the best in the market and below, we highlight the best ones. 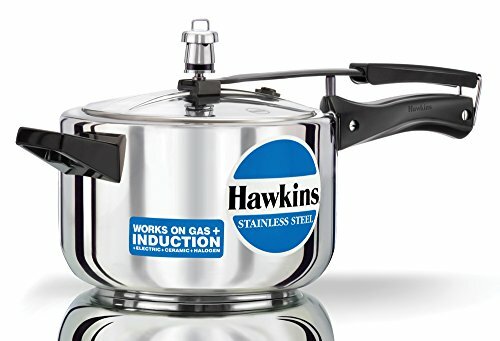 This stainless steel 6.3-quart is your solution to traditional methods of pressure cooking. 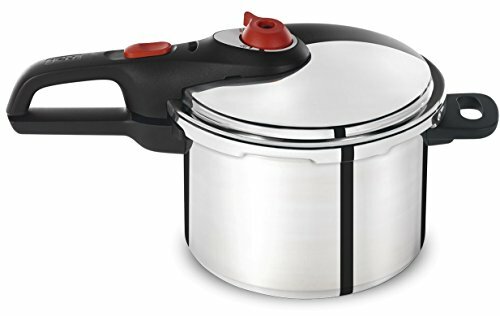 With a 5 liter capacity, this pressure cooker prepares healthy meals in much less time than traditional cooking methods offer. Since it is made from durable stainless steel, you can be sure of a long-lasting performance if handled well. While cooking, its encapsulated base design enables even distribution of heat so that foods cook well. It’s also compatible with any cooktop, including induction. Also, the T-fal has a safety feature that prevents it from opening when in use or when under pressure. The one-hand system for risk-free opening and closing the lid is made easy and very secure. This way, the variable steam-release valve emits steam little by little. They are an added safety control mechanism in pressure management. It also has side handles for a secure grip while lifting or moving the pot around. 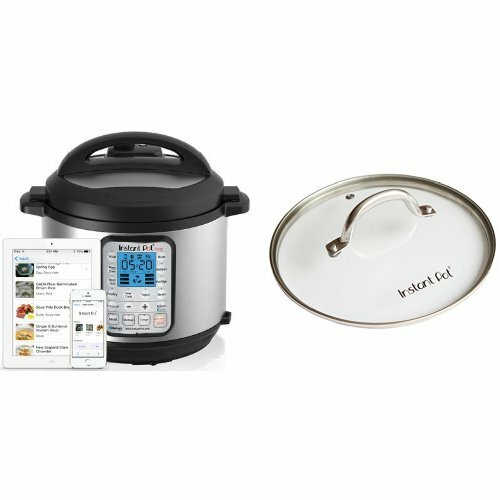 Some of the accessories that come with the pressure cooker include a steam basket, stand, and recipe book. 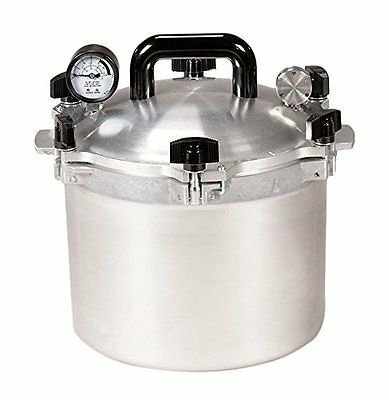 Big households that call for daily large meals should consider this pressure cooker as it has a large capacity. 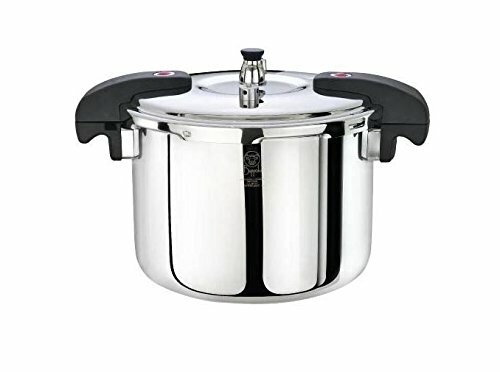 T-fal P31052 polished Pressure canner and cooker offers you larger canning size, long-lasting performance, saves you money and is safe.The heavy gauge, rustproof aluminum body, reduces any chance of rust developing even after washing and the aluminum ensures maximum durability. The 5 point security system has a sure-locking lid system that keeps the steam in, an over pressure steam release mechanism, safety components, and a pressure monitoring device. Therefore, the pot will never open if it is pressurized and pressurization can only happen if the lid is securely locked. 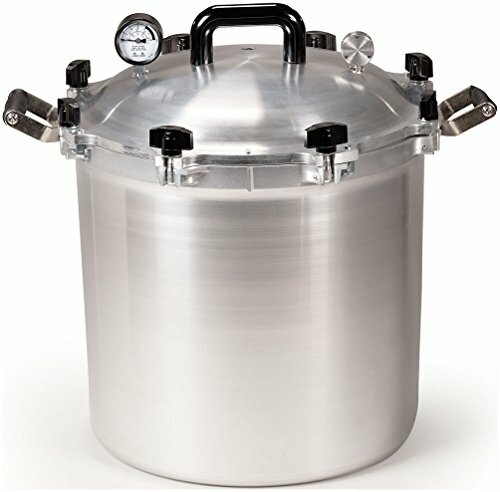 When canning, the 22-quart is equipped with a pressure gauge dial that offers easy pressure monitoring. Moreover, it features impressive capacity and accommodation that allows you to hold 7-quartsized jars at a time. It can also hold other sizes, including 16-pint size jars and 26 half pint size jars on double stack, so you can comfortably can various foods for use later. 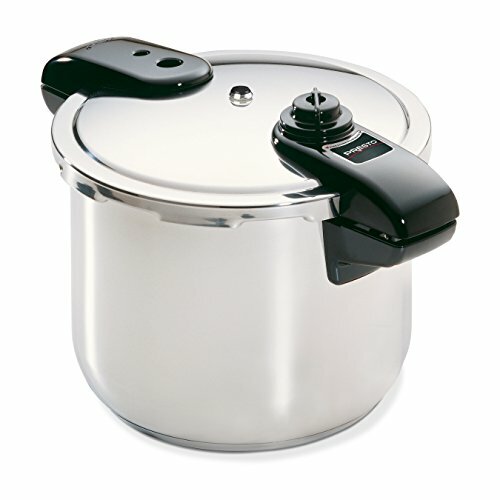 It has three cooking-pressure options that include 5PSI for vegetables, 10 PSI for meats or 15 PSI ideal for canning. That way, you know the amount of pressure required depending on the food. It also includes two canning racks to maximize canning space and prevent food from sticking to the bottom. Additionally, you also have a recipe book, limited warranty (10-year canner; 1-year replacement parts) and to keep your mind at peace, it’s UL Certified. T-fal P25144 stainless steel pressure cooker cooks richly flavored meals with less work, and it’s easy to clean, has a lasting performance and its oven safe.Suitable for all heat sources including induction, the stainless steel cooker will be a fantastic addition to your kitchen with handles that ensure secure grip and is ideal for large meals. It maintains foods flavor while cooking and is dishwasher safe, which allows you to clean up quickly and manage it easily. Before cooking, you will have to select your PSI rate as the variable control cooks at 10PSI for steaming or 15 PSI for meats or other meals. It has a pressure indicator and variable control operating valve together with the safe opening and closing system that help minimize burn accidents by managing the pressure release. 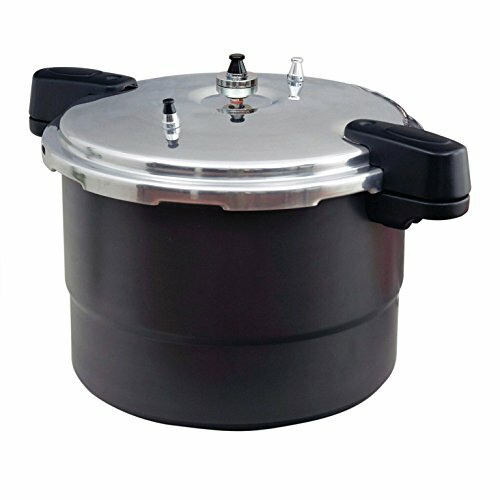 The secure locking lid and the inability to open when under pressure are also preventive safety features for the cooker. 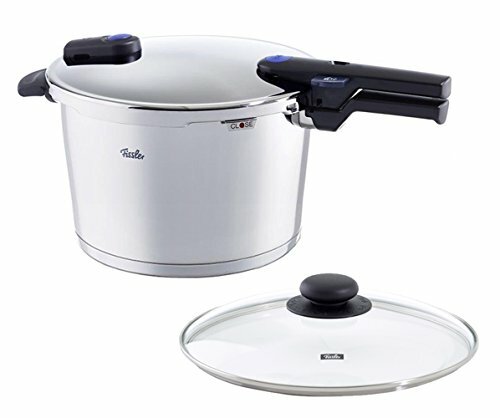 The T-fal P26146334 secure aluminum pressure cooker offers you a lightweight quality cooker that cooks fast with ease. Some of its desirable features are its ergonomic handles makes opening the lid natural and safe, the Auto-Locking system that provides instant and secure closing. The locking mechanism feature keeps your hand far from steam/pressure release areas and locks down pressure for easy cooking. Its aluminum body construction delivers reliable cooking results and long-lasting performance. This unit is durable and very easy to handle. It comes with an overall 12-Psi cook control and with an easy to read pressure indicator that shows you the pressure level whenever you need. With a 6 quart capacity, this unit is perfect for large meals or big households and comes with a limited lifetime warranty to make this a fair deal for anyone. 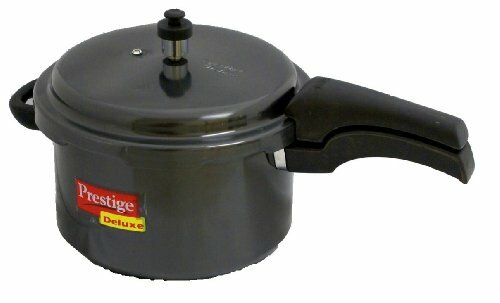 Pressure cookers have evolved from the traditional cooking methods. The evolution has dramatically increased in innovation and usability. For some time, pressure cookers were seen as a method for the oldies, as people perceived them as complicated or hard to use and handle. 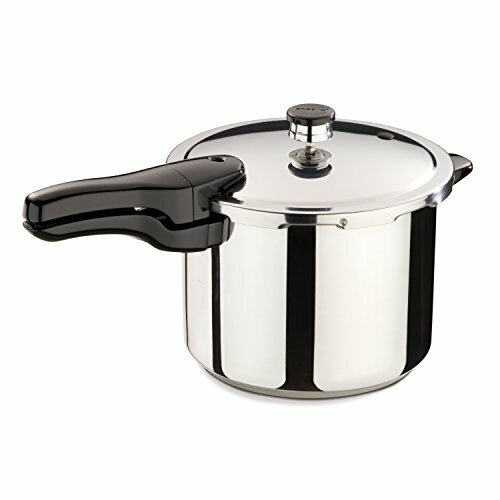 This notion is fast changing because over the few years, pressure cookers have gained massive popularity with high quality brands such as T-fal, and some less popular but also high quality from Fagor, and are extremely popular among happy clients that are looking for a fast turnaround time in cooking. This includes meals that would take hours, are done in minutes. T-fal also has a canning ability for foods to be used later. As much as they are quick, the food is done tenderly, maintaining all its health nutrients and flavors. T-Fal makes pressure cookers that are easy to cook with, have innovative safety measure and are extremely reliable. 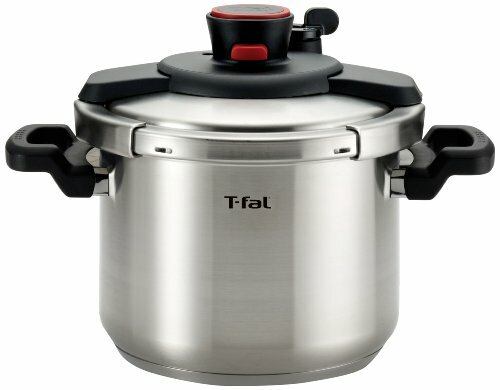 With all these features, we will gladly recommend T-fal pressure cookers as they have proofed to deliver well-prepared meals in a matter of minutes.If you invest in any of the T-fal’s units above, you can rest assured that you will receive quality products made from top-notch material and built to last for many years to come.